Simon Donald - I want a comedy night! In 1979 Simon Donaldd co-founded Viz! from a bedroom in Newcastle. It went on to become something of a British publishing phenomenon and upset all the usual suspects. Although no longer involved with Viz! Simon will always be known as the man who gave us Sid The Sexist. 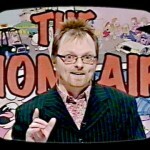 In 2005 Simon started performing stand-up, beginning to appear on stage as characters not dissimilar to the ones he had been drawing a few years earlier. previously talked about in his routine. Perhaps the best known of these is Barry Twyford, a market researcher with some highly inappropriate questions that reduce audiences to tears of laughter. As well as appearing at comedy clubs across the nation he has become a regular fixture at the Edinburgh fringe with not only his characters but also Simon Donald’s School Of Swearing. 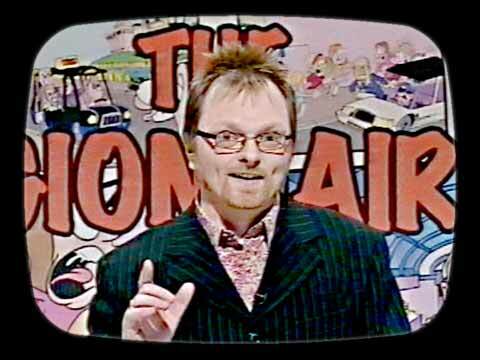 When not performing comedy Simon divides his time between London and Newcastle as a TV presenter, punter and all round media whore.